Robin Clement, PhD, instructor of accounting, received her BS in business administration at the Ohio State University, her MBA at the University of Wisconsin at Milwaukee, and her PhD in business administration at Michigan State University. Dr. Clement has served as a staff accountant for Arthur Andersen & Co. and has previous academic experience at Louisiana State University, Tulane University, and Michigan State University. 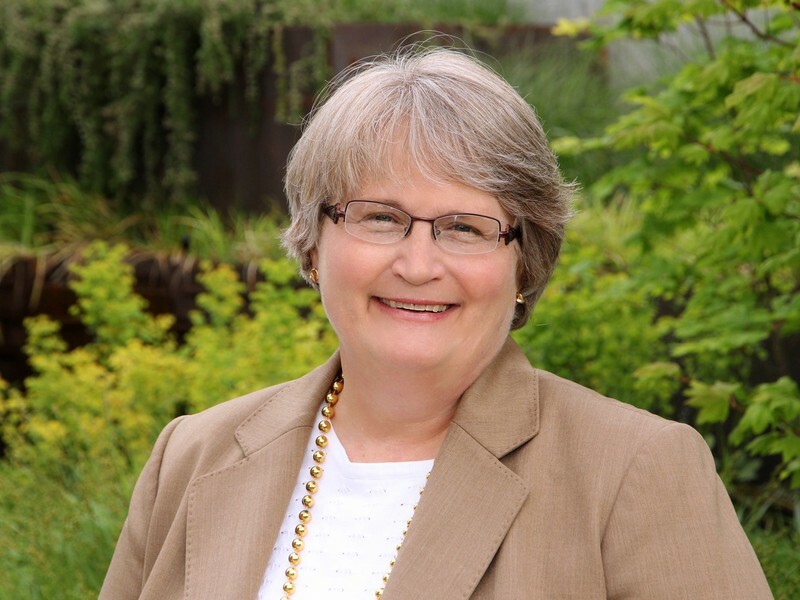 She joined the University of Oregon in 2003 and became MAcc program director in 2004, teaching courses such as Advanced Accounting and Developing the Business Professional and instituting an international study tour for the MAcc students. Clement has served on the the University Senate, and has been honored multiple times with the Dean’s College Service Award for nontenure-track faculty. As Associate Dean for Continuous Improvement and Accreditation for the Lundquist College, Clement leads efforts with AACSB (Association to Advance Collegiate Schools of Business Association to Advance Collegiate Schools of Business) data collection and enhance strategies related to the college’s mission. Lundquist College has successfully maintained both its business and accounting accreditations by the AACSB. More than half the college's faculty came together for a daylong curriculum-mapping workshop. A blend of site visits and classroom lectures provided Master of Accounting students with a crash course on European accounting practices during a study tour in the Netherlands. Deena North, MActg '14, discovered her ideal career when she attended January's Careers in Banking and Wealth Management event. Even in the quietest weeks of December, many of our students are busy taking advantage of global opportunities and literally building a better future for those who come next. One of our biggest summer successes was certainly the relaunch of the University of Oregon-Nyenrode Business Universiteit partnership. Clement, Robain, Joseph Anthony, and Jamie Pratt. Study Guide for Finance Accounting: In an Economic Context, 6th Edition, John Wiley and Sons Publishers. Clement, Robin, Joseph H. Anthony, Floyd A. Beams, and S. Lowensohn Advanced Accounting, 9th edition, Prentice-Hall.